Born in 1943 in Colome, SD, Bob was raised in South Dakota. At age twelve, he began hiring out to neighboring ranchers and farmers, and later worked as a lineman for electric companies. In 1966, Bob married Donna Armstrong from Gordon, NE. They have one daughter, Denelle, four sons, Stacy, Troy, Cory, and David Dunn, plus fifteen grandchildren, and two great-grandchildren. They always kept horses for the kids and took them to play days and gymkhanas. Bob and Donna moved to Rushville, NE, in 1969 and bought a hardware store, which they ran for 30 years. They built an indoor barn and an outdoor arena on their property outside of town and hosted numerous rodeos and jackpots throughout the years, including NSPRA rodeos in 1985 and 1986. They also owned a 320 acre farm. In 1983, Bob and Donna started the Christian Community Center, a church in Rushville. This led naturally to their involvement with “cowboy church”, and for 14 years they held church services at the rodeos. Bob learned to rope at age 30. He says Donna taught him how to coil his rope and Butch Terrill taught him how to rope. Obviously, Bob was a natural, and was soon roping competitively. 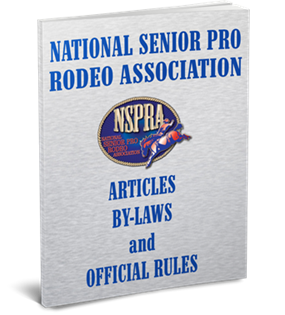 He joined NSPRA in 1983, and in 1993 won ribbon roping saddles for Donna and himself. Winning those first saddles is still a special memory. NSPRA World Champion All Around in 1994 and 2005, Reserve World Champion All Around in 2003, World Champion Ribbon Roper in 1993 and 1994, Reserve World Champion Ribbon Roper in 2003, World Champion Calf Roper in 1994, Reserve World Champion Calf Roper in 2001, 2003, 2004, and 2005, World Champion Team Roper in 1994, Finals Calf Roping Champion in 1993, Canadian AA Champion in 2003, Champion Team Roper in 2003, and Champion Ribbon Roper in 2004. Bob has enjoyed the travel opportunities and the many good friends he has made rodeoing. The highlight of his rodeo experiences was 2005 when both he and Donna won All Around titles.